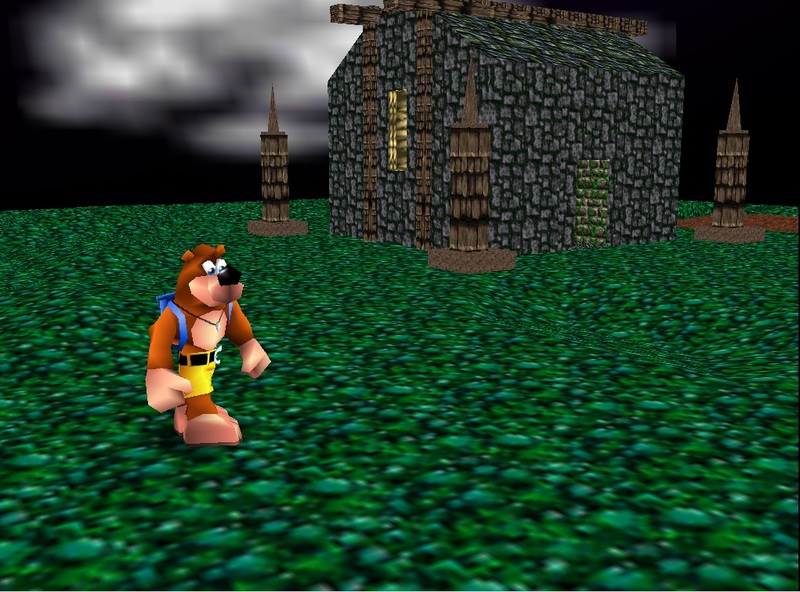 I started this level some time back for Banjo Kazooie and I was using it to explore and learn how BB worked. Progress has halted atm, but I intend to return and actually finish this sometime. 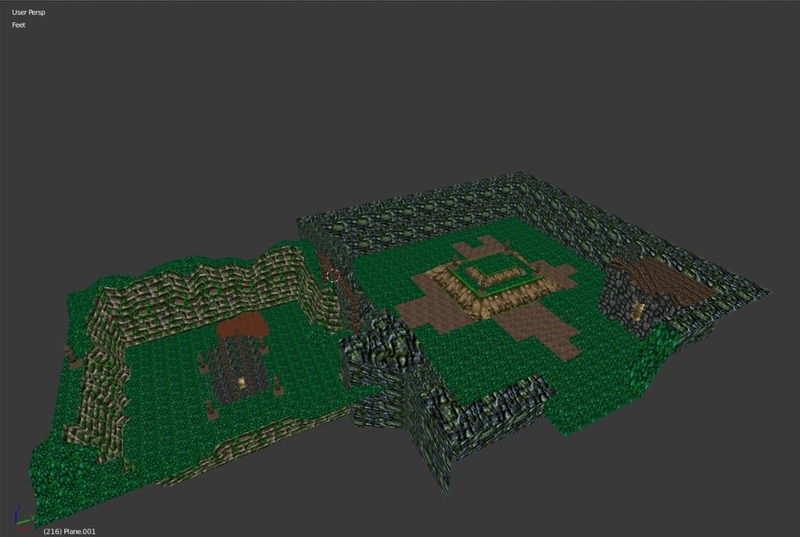 I plan for it to be rather small and not too much going on, a simple Banjo level. Since there's still more to learn as I go. There really isn't much going on yet and even my modeling skills have gotten better as of now so a fresh return to this should be fun. Thought it would be the perfect candidate to share here and maybe motivate others to post. Hope to see some Banjo stuff from you all. Added some details in to see how it would start looking with some Banjo details. There will be more graves in Haunted Woods for sure. RIP. I know kind of square atm but that will change later some. None of the rooms would be considered fully done here. Looks pretty neat. I like the art style on that little structure with the points around it! Not bad to be a first concept of a level. With some tweaks and additions it can be an interesting level to pick up a handful of Jiggies. I hope we can try it some day! Keep it up! Thanks guys I do plan to finish it too! Just doing so many things atm. And hopefully others can showcase some stuff on the forum too. I know I enjoy seeing stuff for Banjo. Whenever I make some good enough progress I will update here. Nice, I can't wait to get my hands on a pc and develop my own levels as well. Not bad! 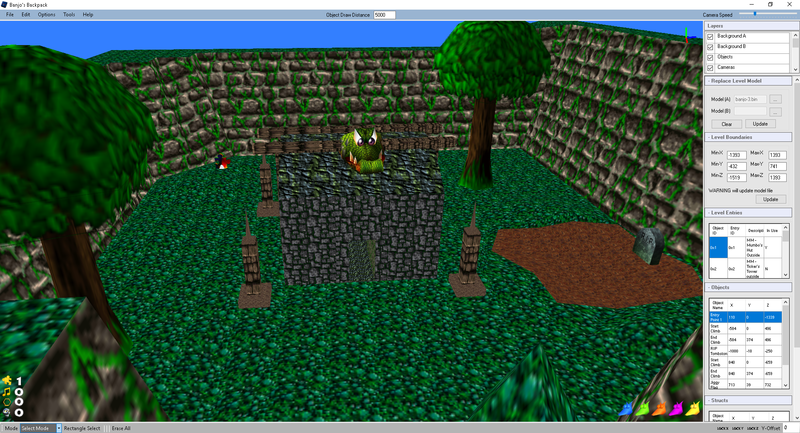 I like the texturing so far. Try to make sure rooms aren't just rectangular with stuff in the center, though. Maybe some platforms on the outer parts of the rooms that have items on them and possibly enemies? I am guessing you got the idea from Diddy Kong Racing by your profile picture which is cool. I actually think seeing DK Racing expanded levels for a new BK rom hack would be really neat. Imagine Windmill Plains and some of the space station levels or even expanding this Haunted Woods level? There are so many possibilities. (06-21-2018, 04:33 PM)Wolfblade1989 Wrote: I actually think seeing DK Racing expanded levels for a new BK rom hack would be really neat. See, now this is a really cool Idea Ive had before. And while Im too busy working on my own ROM Hack for Banjo-Kazooie to pursue this as a project, I would be more than happy to collab with someone on a project of this caliber. Nice work, can't wait to see what you come with for the finished product.